Jonathan's Blog: Let Grace Be Grace! So too at the present time there is a remnant, chosen by grace. But if it is by grace, it is no longer on the basis of works; otherwise grace would no longer be grace (vv. 5-6). LET A COOKIE BE A COOKIE! What a cookie is or isn’t is subjective. But to the apostle Paul, what grace is and isn’t is black and white. And the meaning of “grace” is incredibly important because over and over again in his letter to the Romans, Paul states that we are saved by grace. How does the concept of grace make you feel? Should anyone—regardless of what they’ve done—be saved by grace? Does salvation by grace lead to a passive Christian life? In chapter 10, Paul says that the Jews of his day had heard and understood the gospel, but most of them had rejected it. 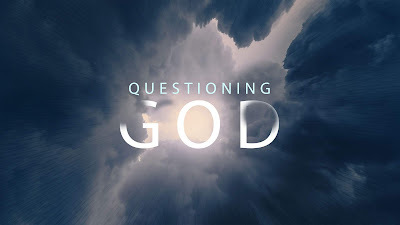 Now in chapter 11, Paul brings up the question “Has God rejected [i.e., given up on] his people [i.e., the Jews]?” (v. 1). Paul’s answer is “No!” He says, “God has not rejected his people whom he foreknew” (v. 2). To “foreknow” is to “chose ahead of time.”  Here Paul is talking about group election (i.e., election of the nation as a whole), not individual election. “The LORD your God has chosen you to be a people for his treasured possession, out of all the peoples who are on the faith of the earth. It was not because you were more in number than any other people that the LORD set his love on you and chose you, for you were the fewest of all people, but it is because the Lord loves you” (Deut. 7:6-8). There was a remnant in Paul’s day. Paul says, “I myself am an Israelite, a descendant of Abraham, a member of the tribe of Benjamin” (v. 1). There was also remnant in Elijah’s day. Elijah thought he was the only follower of God left in Israel, but God said to him, “I have kept for myself seven thousand men who have not bowed the knee to Baal” (v. 4; cf. 1 Kings 19:1-18). Paul says that the remnant in his day was “chosen by grace” (v. 5). This is individual election. They were not chosen “on the basis of works” (v. 6). If works had anything to do with it then “grace would no longer be grace” (v. 6). Paul writes, “Israel failed to obtain what it was seeking” (v. 7). What was Israel seeking? The Jews were seeking justification (i.e., the acceptance of God). Paul says, “The elect obtained it, but the rest were hardened” (v. 7). Many people have a resistance to the concept of grace. We want to say, “I earned that.” Or, “I had a part in that.” That’s pride. And to many religious, self-righteous people, it’s offensive that God would save “bad” people. Does grace lead to a passive life? If we’re saved by grace, can’t we say, “I’m saved by grace, so it doesn’t matter what I do”? Think about Paul’s life. He says, “I am … unworthy to be an apostle, because I persecuted the church of God” (1 Cor. 15:9). He realized that he was completely undeserving of salvation: “But by the grace of God I am what I am” (v. 10). How did grace affect Paul’s post-conversion life? He says, “[God’s] grace was not in vain. On the contrary, I worked harder than any of [the other apostles], though it was not I, but the grace of God that is with me” (v. 10). Douglas J. Moo, Romans, p. 354. Don't Distort the Grace of God! How Do I Know if I'm One of God's Elect?